Q. What does it mean when an article is locked? I really need that specific article. 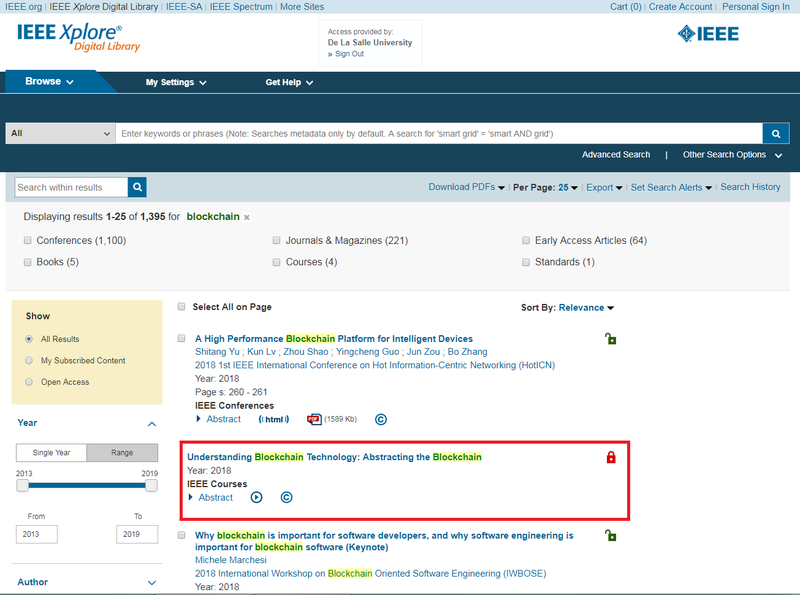 In using the online databases, there are instances when researchers would encounter articles that are "locked" which prohibits them to view and/or download the full article or material. The means that DLSU Libraries is currently not subscribed to the journal/title. What if the researcher really needs that specific article? As an alternative, DLSU Libraries offers the Interlibrary Loan (ILL) or Document Delivery (DD) Services for faculty and students. With ILL/DD, the Library will facilitate the borrowing of library materials from partner libraries in behalf of its library users. In return, DLSU Libraries also accommodates ILL and DDS requests from other libraries. ***NOTE*** Fees may apply for these services. To avail of the ILL/DD Services, visit this link and fill out all the necessary information.